You are currently browsing the category archive for the ‘I’ll Say What You Want- Romney’ category. Oh Brave New World That Has Such People In It…. This YouTube clip shall haunt his future Campaigns Forever. The light shaded areas are everything within our working economy. Our salaries, our shopping, our investments, everything we do or buy for ourselves, is in that tiny fragment of light shade….. Everything. The dark shades are the money used by the top per-centers to bet, basically on hedge funds, on the stock market, on the fourth race of the Preakness. on buying Congress and the Presidency. The reason our economy is sluggish, is because we aren’t putting money back into the economy. Republicans say government can’t build jobs. But as most of you already know when every Republican gets into economic trouble, he explodes the government, creating jobs, and the economy rises as a direct result. Ronald Reagan, and George W. Bush were two prime examples who exploded the deficit. If private business creates jobs, it was our government that created the demand for those jobs. Betting is like buying shares of Purdue Industries that cost $11 dollars, and holding them till the demand for them raises the price to $15 dollars. All you bought with your millions was paper… What those papers represent, is millions, but if in the end, no one is willing to pay you any amount for what they represent, all you actually own is ink and pieces of paper.. Which is why, when the market crashes, stock certificates are dumped out of Wall Street’s windows. They are worthless. Someone made a bad bet. Here is the reason for raising taxes on the wealthy… Forget about revenue for a minute. Forget about the deficit for a minute. 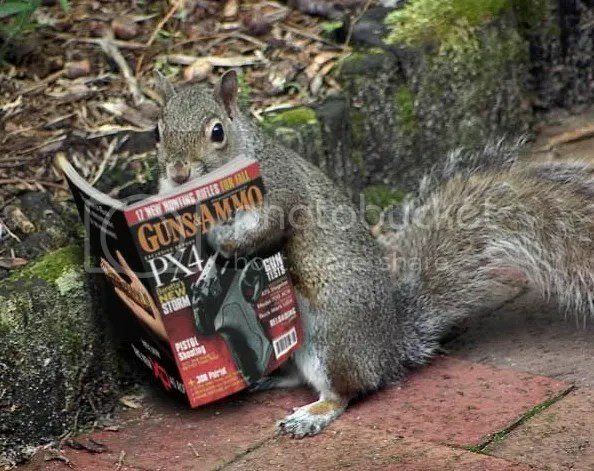 Forget about funding the government for a minute…. Raising taxes makes more money flow from the dark shades of the economy to the light shades. Here is how. If you raise my tax rates higher, from 25% to 50%, I will lose 25% out of my pocket. I will have less to bet. But, being smart like I am, I see that if I build a new factory that will employ people, I write off that cost before any taxes are assessed. What I did, was use my investment like a tax shelter. I “shifted” my taxes away from what would be taxed, over into the factory, where it won’t be taxed. Building something ground up, never makes as much as a high turnaround bet. (If you have $650 to blow, would you go to Atlantic City where you know the black jack dealer, or would you spend it all on lawn equipment to start a lawn business that will tie you up every weekend ad infinitum)? So enticing me to build a new factory won’t work. Penalizing me for not building one, will…. Our object was to increase your economic activity. We did so by raising taxes. Let me put it on a personal perspective. Let me say I take away your mortgage interest deduction. Mad? Now, it’s $7,8,9 thousand more you owe me! But if, when I do that, I tell you… btw, you can write off any improvements you make to your home, even if it goes over our old deductible amount,… what would be the normal reactive course of action? Most of us would rather put the money into our house, a new roof, new interior, new kitchen, new bath, instead of handing that same amount of money to Uncle Sam…. That way we keep our money ourselves, we store it in the value of our house. When it comes time to sell our structure, all that money we pumped back into it, will be turned back into cash…..
Now obviously we aren’t going to fund a lot of government if we let everyone keep their money. But we are, going to have a dynamic recovery. The economy will move forward very fast, and that was our intention all along. So naturally, we will have to compromise upon the size of government we want, and the voracity of the economy we want. 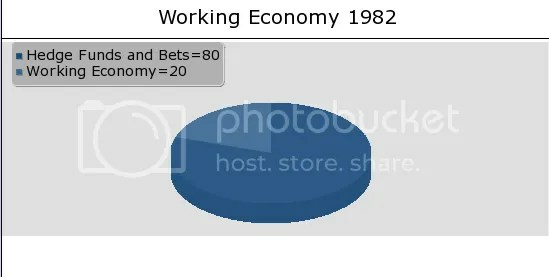 But the whole point of this exercise was to illustrate, that the Republican insistence on lowering the tax rates which keeps bleeding more money from the light “working economy” shades to the dark “betting economy” shades, is exactly the wrong direction to go. Metaphorically, it is like lowering the octane in the fuel mixture going into our economic engine. It ran well on 80/20 BWR(betting/working ratio), so we tried 81/19, ok; then 82/18, still ok; 83/17, fine tune it; 84/16, couple of kicks but still running; 85/15;etc. Today we miraculously have an engine misfiring on 1 and 3 but are still able to drive on a mixture of 93/7… Somewhere, and its happened twice, the engine can’t get any kick and stops. It just lacks the firepower to turn cylinders 2 and 4. The engine stalls,.. 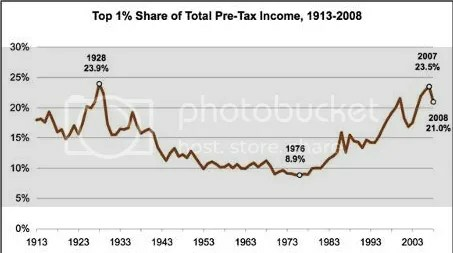 Historically that seems to have happened twice when we reached that point where over 23% or the national income flows to the top 1%. The only way this economy can grow, is if we grow the percentage represented by the light shaded “working economy”. While it is shrinking, there are more of us sharing a pot of less. Growth is just mathematically impossible. If we ever wish to grow our own personal incomes, either we have to grow that pot, or excel at stealing from the dreams of someone else who is simultaneously trying to steal our dreams to build theirs…..
Obama is right, and Romney is dead wrong here. We need the wealthy to pay higher taxes to grow that pot, and we need to hire people with that money to create this demand for more jobs that will pay out more money….